A few years ago, I thought I was a great angler, I caught more than my mates, I read all of the magazines, I tied all of my own fan-dangle rigs and also most of my Dad’s as well. I bought all of the expensive equipment, I booked a 4-day session at a renowned big fish water, only 30 fish in two acres of water, smallest was 26lb, the biggest was 48lb. I thought It would be easy, four days to catch one fish? I was pretty confident. I booked the time off of work, grabbed my gear and head off to the lake. Seven of us went to the lake, my mates went on one lake and I head off to the harder water on my own, shows how much of a big head I had! I spent three or four hours just watching the water and marking up my Lake Map, making sure I was going to be set up in the best spot. As I was going to be there for four days, I wanted to make sure I was near to the fish, I couldn’t afford to get the location wrong as I was not planning on moving for this session, just set the trap and wait for my prize. I bought loads of bait with me and tons of different rigs, just in case my normal rig wasn’t effective, allowing me to try all of the different methods to snare my first big fish. I found the fish pretty quickly as it was a hot day, the fish were swimming around in the top layers of the water and could be spotted from the bank. I grabbed my gear and got set up. Set up my bivvy, set up my rods and cast out to snare my first big fish. 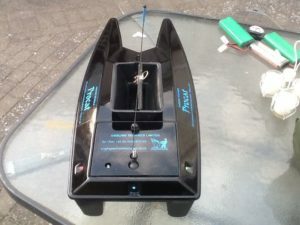 On the first day, I tried every method imaginable and caught absolutely nothing, I figured they would feed at night time as it was very hot during the day, so I set my traps for the night, head off to catch some sleep, ready to be woken by a screaming alarm. I woke up at 8 am, no alarm, not even a bleep. For the next two days, the same thing happened, absolutely nothing, no beeps, nothing. 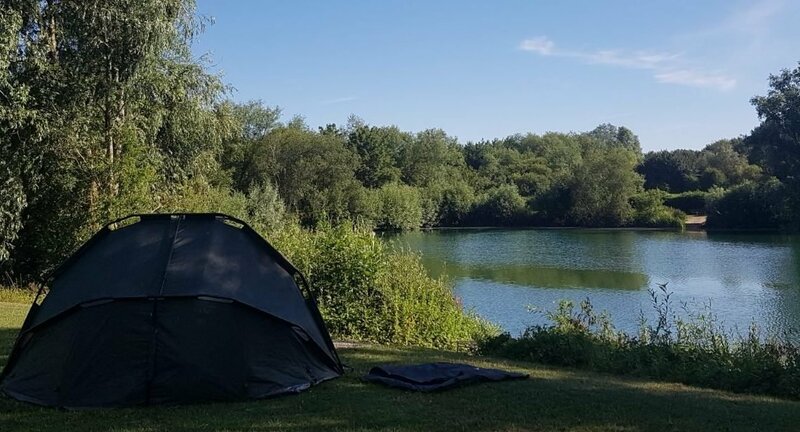 On the last evening, another angler turned up, he wanted to fish in my swim and asked how long I was there for, I clearly picked the right swim, he settled in a swim two away from me, ready to move into my swim when I packed up. I settled down for the night praying for a bleep, just to keep my morale up. The lads on the other lake were catching loads of fish, even catfish over 70lbs! I did wake up to an alarm sounding that morning! But I wasn’t mine, it was Daves alarm. 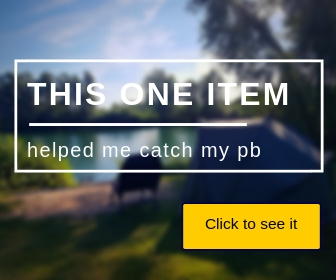 I got out of the bivvy and he was two swims down, in his pants, playing a fish! Jammy git. He’d only been there one night. I went to help him, it was the smallest fish in the lake, but the biggest I had ever seen. He pointed at another rod that was laying on the floor, he had already hooked into another fish that morning, but the Hooklink snapped, and in anger, he threw the rod on the floor and went back to sleep. I helped him take photos of the fish and because I took a nice set of photos, he revealed his secrets. He explained exactly what rigs he was using and why they were set up as they were, he showed me what bait he was catching on and showed me the location of where he hooked into the two fish. That was when my jaw hit the floor and I realise I wasn’t the great angler that I thought I was! He sorted his rig out with new hooks, put the rig in his bait boat, put some extra food items in the boat and put the boat in the water….. Are you ready for it? 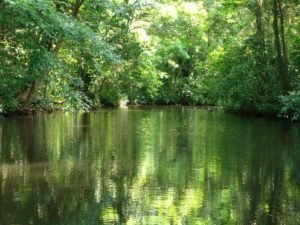 He drove the boat INTO the overhanging tree that was virtually in the water, only a 6-inch gap under the branches, he drove 2foot under the branches and dropped the rig…. What a smartarse! I could have never got a rig under that branch without a bait boat. If I am honest, I would have never of even thought about driving a boat under there. This was where he caught 20 of the 30 fish from the lake. Spend time with the other anglers, there is always someone smarter than you nearby, the lesson opened my eyes and completely changed the way I look at a baiting location on a lake. You will never stop learning, I can assure you.